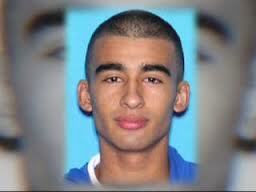 18 year old University of Florida student Christian Aguilar was last seen on on September 20, 2012. Eight days following his disappearance, Pedro Bravo was charged with first-degree murder in the student’s apparent death. However, Christian Aguilar had not been found. As reported at CNN, more than three weeks after Christian Aguilar was last seen the family was confident that the 18-year-old’s body has been found. The break came when on Friday afternoon in Levy County when hunters stumbled upon remains at the Gulf Hammock Hunting Club. They called police and believe they have found the body of Christian Aguilar. However, authorities have yet to confirm it is Aguilar. Gainesville Police spokesman Ben Tobias said authorities are looking into a body that was recently found. But it hasn’t been confirmed that this body, found in Levy County, is that of Christian Aguilar. Carlos Aguilar stressed that his family is waiting on confirmation of the body’s identity. Even so, he said that he believed they’ll soon be able “to bring Christian back home” and have his funeral. “Our family is going to be grieving until the authorities give us the confirmation,” the father said. Police were directed to the partially decomposed body of a young man after a pair of hunters. Around 2:00 p.m. on Friday, the hunters smelled “something dead” and found a partially buried and decomposing body that was “obviously human,” Fred Oliver, a volunteer with the Levy County Sheriff’s Office, told the newspaper. When authorities arrived at the site, they found blue sneakers and dark blue jeans with the body, clothing that matched what Aguilar was wearing on Sept. 20, the day he disappeared. Although authorities have ordered a forensic examination of the remains, they are “almost certain” they know that it is Aguilar, Oliver said.